The Rank Foundation together with Esmee Fairbairn Foundation has launched the Hull Community Development Programme Activity Grant and are looking for Hull groups to apply. The grants are estimated to be around £500 and will be approved by a local decision-making panel. Some of our member groups have been successful at receiving this grant, so please don’t hesitate and follow the link below to access the quick and simple application form. Persimmon Community Champions helps fund good causes across the UK. Their charity match programme gives donations of up to £1000 to local UK groups and charities, which have already raised vital funds themselves. It’s simple to apply for a donation. All you need to do is complete the online form, telling them why your group or charity deserves their donation. In your application, make sure you tell them how much you have already raised and how much you want them to donate. Deadline: Applications accepted every month. Charities and groups who are unsuccessful can apply again. Boost believes that sport is for everyone, and they hope to work with people from all ages, race, colours, creeds and physical abilities. Grant applications are up to £500 and the application is by letter or e-mail, please visit the website for more information. Deadline: Applications accepted all year round and can take up to 2 months for a decision. The Chestnut Fund is an independent charity, making grants available to encourage and enable community groups to carry out conservation activities. The grants are administered by The Conservation Volunteers. Please note that in order to apply, the group must return the form to their local TCV office for approval before it can be processed. Deadline: All year round. The Chestnut Fund committee meet every 6 weeks to discuss new applications. Grants of between £100 and £1,500 are available for gardening projects and activities in the community that improve the local landscape. •Improving our Landscape – up to £1,500, available to voluntary and community groups and charities who can demonstrate a clear need for grant funding. •Grow and Learn – up to £500, available to primary and secondary schools, after school groups, parent groups, college groups and institutions of further education who can demonstrate a clear need for grant funding. 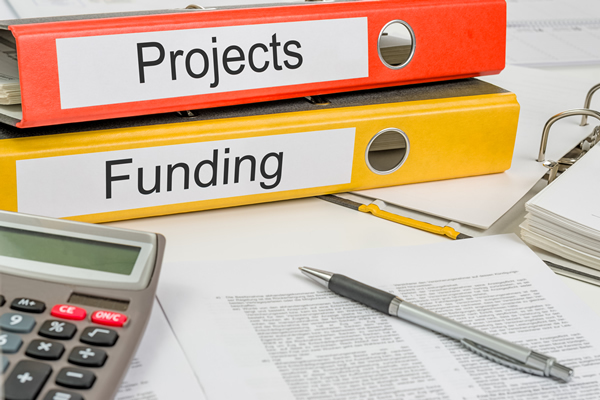 Grants are available to registered charities for projects that benefit Yorkshire through the relief of need, particularly those related to youth, old age, welfare and medicine. Applications are considered at quarterly meetings which take place in March, June, September and December. Deadline: The last Friday in January, April, July and October. The Laing Family Trusts supports a wide range of charities engaged in promoting Christian faith and values and in the relief of poverty (interpreted in its broadest sense), both in the UK and overseas. It will offer direct support to the most vulnerable and disadvantaged in society; including the homeless, the elderly, former servicemen and women, ex-offenders, people with physical mental and learning difficulties, training and development of young people and small scale overseas development projects. Grants can be upto £5,000. Application is by letter with an accompanied concise proposal, please visit the website for more information. Local charities, community groups, organisations and schools are being encouraged to bid for up to £5,000 of proceeds of crime money, to spend on a project of their choice which will help combat unscrupulous loan sharks. The England Illegal Money Lending Team (IMLT) have put forward multiple pots of £5,000 to fund projects that will assist in raising awareness of loan sharks, in the hope of preventing more people from falling victim of these criminals. Deadline: The closing date for applications is Friday 30th June 2017. This fund is open once a year. Power to Change is providing the new £10 million Community Business Fund to support the development of sustainable community-led enterprises across England to help more people respond to local need and opportunity, and change the places in which they live for the better. Grants of between £50,000 and £300,000 will be available over three funding rounds to help existing locally based and community-led businesses in England to increase their social impact and make them more viable in the long term.